From centuries to till date, yoga has been the illustrious science of relaxation. The physical movements of the body in the asanas are an effective means of cultivating relaxation. As you maneuver your hands, legs, torso, head in the poses, you stretch the tensed muscles, open up the body areas, activate the dormant energies and more. Therefore, every move in the pose results in profound relaxation. Jyestikasana (Superior Pose) is a yoga posture for relaxation. The subtle movement of the body in the Superior Pose brands it as a restorative yoga asana. The Jyestikasana is performed in a lying position that makes it suitable for practice by people of all age groups. The word, ‘Jyest’ is Sanskrit meaning elder and ‘Asana’ means posture, hence, a relaxation pose for the elders as well. Let’s get started with the soothing Superior Pose. Follow the instructions, please. Lie in prone position on a yoga mat. (For the prone position, your stomach will be flat and in touch with the ground. Legs stretched out behind and arms by your side). Gently rest the forehead on the ground. Stretch the arms in front, bend the elbows, take your forearms behind and interlock the fingers of the hands. Place the palm with interlocked fingers behind the ears and between the lower and upper part of the neck. Stay in the pose as long as you feel relaxed. Coordinate the movements of the pose with natural and rhythmic breathing. In the pose, become aware of the breathing and use it to relax the body and mind. On the spiritual level, bring your attention to the solar plexus and forehead to activate the chakras of Manipura and Anjana. For comfort, rest the forehead on a folded blanket on the ground. Pregnant women should not perform the pose as it is practiced in a prone position. 1. Massages the Neck: The Jyestikasana is beneficial to practice if you have spinal complaints, especially cervical spondylitis. As you place your hands over the neck region and hold them for a longer duration, the hands produce heat giving out a massaging effect. This helps in healing the stiffness in the neck and cervical spondylitis. Whenever you feel a tension in your neck, just lay in Superior pose and reap the health benefit Jyestikasana for neck and spinal problems. 2. Activates the Chakras: Spiritually, the Jyestikasana activates the Manipura and Anjana Chakra. The Anjana Chakra is positioned at the forehead and it governs the memory, pineal gland, imagination and vision. The resting of the forehead on the ground coupled with breathing helps in melting of the tension from the head and stabilizes the third eye chakra. The Manipura chakra is located above the navel. It is associated with digestive health and feelings of achievement. The pose affects the navel area and activates the Manipura Chakra. 3. Soothing Effect: The Jyestikasana is a restorative yoga posture that offers soothing effects for the body-mind. The comfortable laying of the body on the ground, the resting of the forehead and smooth breathing allow your body to relax and mind to settle. The relaxation benefits of the Superior Pose can be enhanced by holding the posture for a longer duration. 4. Promotes Serenity: The Superior Pose is the best to foster a state of body-mind calmness. This subtle yoga posture helps release the tensions from the back and mind. When the body and mind feel rejuvenated, the concentration improves. Also, with a calm mind, taking up meditation practice is easier and profound. 5. Restful Transitions: Jyestikasana can be used as a relaxation pose between the asanas. Whenever you take up the practice of a rigorous yoga style, use Superior Pose in between to give the body rest and for smooth transitions. You can end the yoga series in Jyestikasana for revitalization. Rest, revive and rehabilitate in Jyestikasana (Superior Pose). 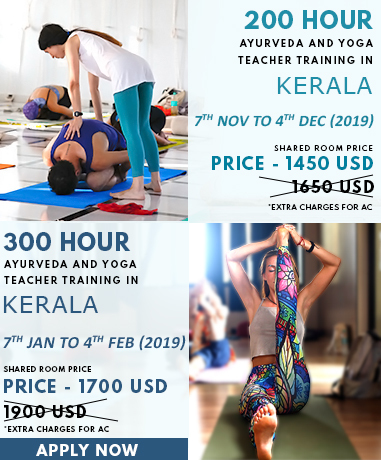 To know more about Jyestikasana in further details, explore our Yoga Teacher Training In India.